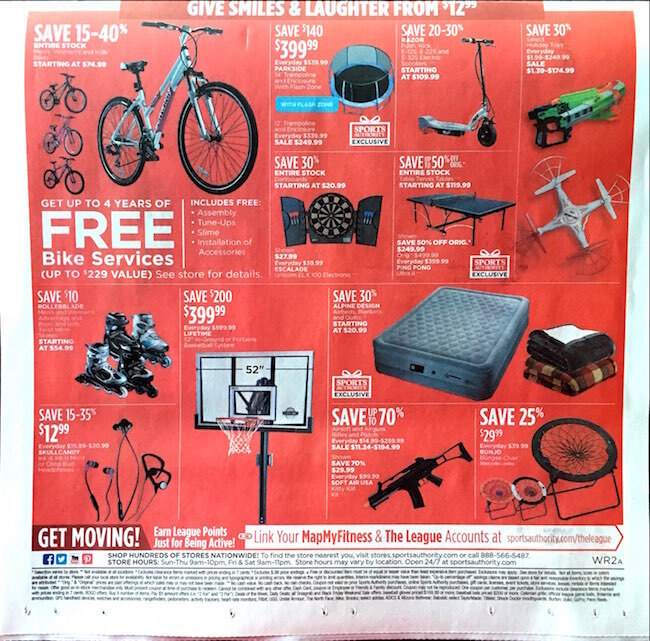 Sports Authority releases an ad circular almost every Sunday. 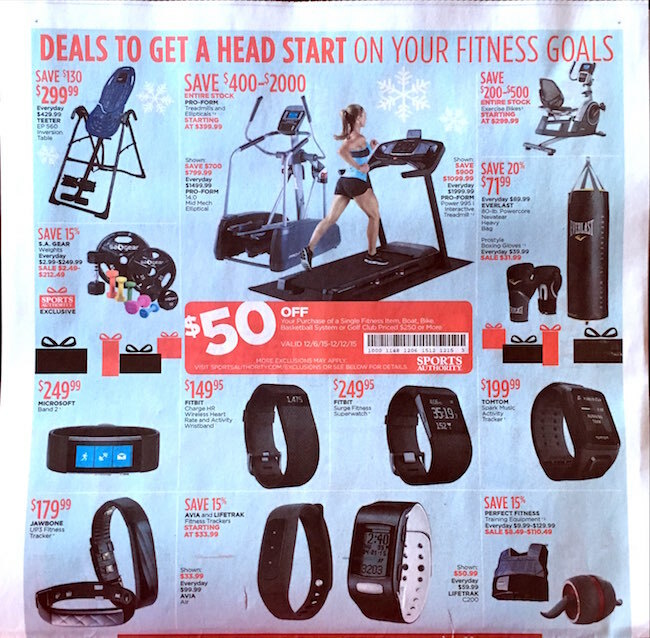 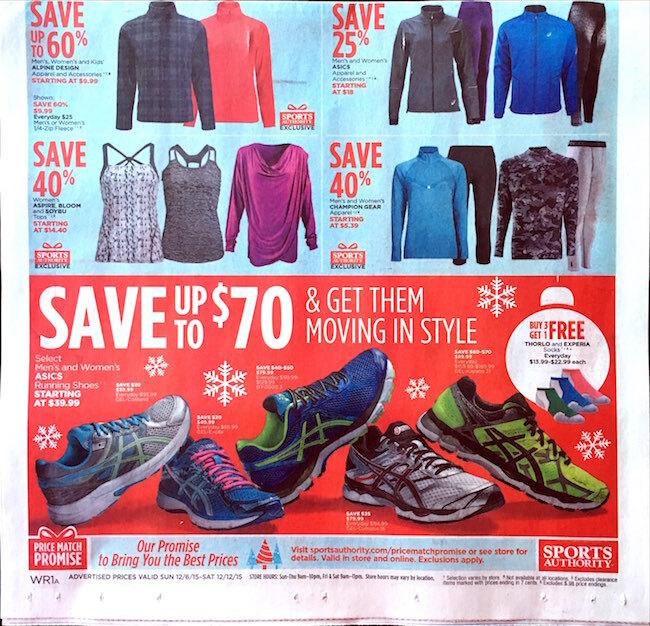 In this week’s Sports Authority weekly ad they show a Warm up their Holidays sale, which is valid from 12-6-15 through 12-12-15. 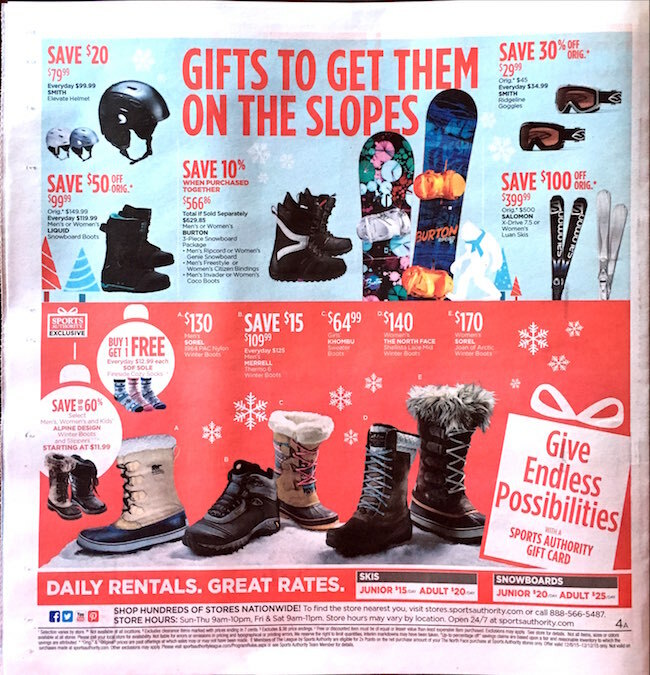 If you are looking for outdoor winter gear such as jackets, snowboard, skis, and boots now is the time to buy them. 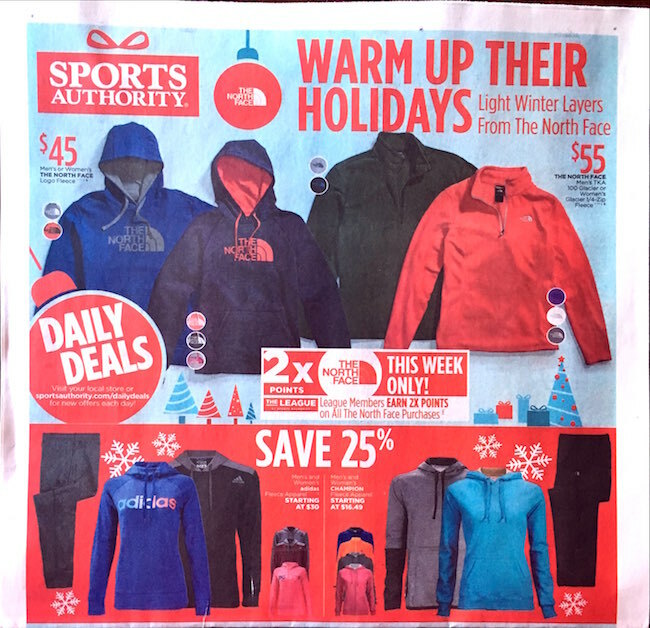 Sports Authority is running some great sales this week for the holiday. 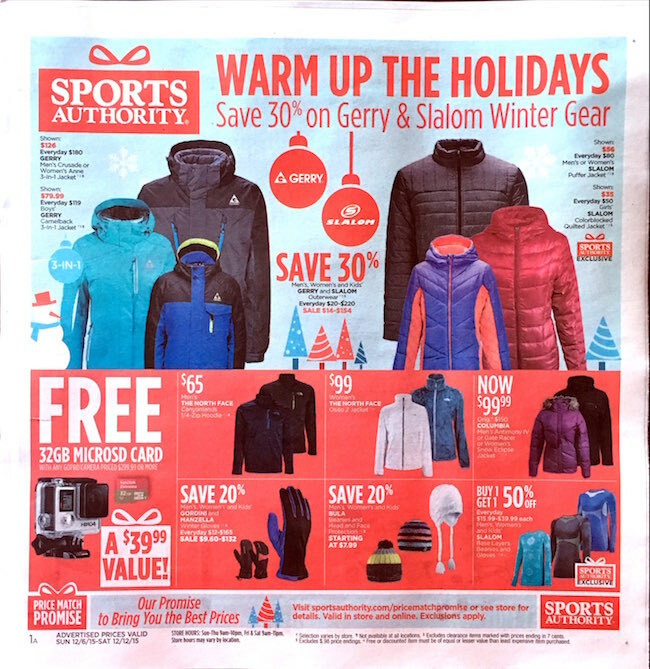 Sports Authority sells athletic gear and apparel for sports including tennis, soccer, golf, running, snowboarding, basketball, weight training, yoga, and more. 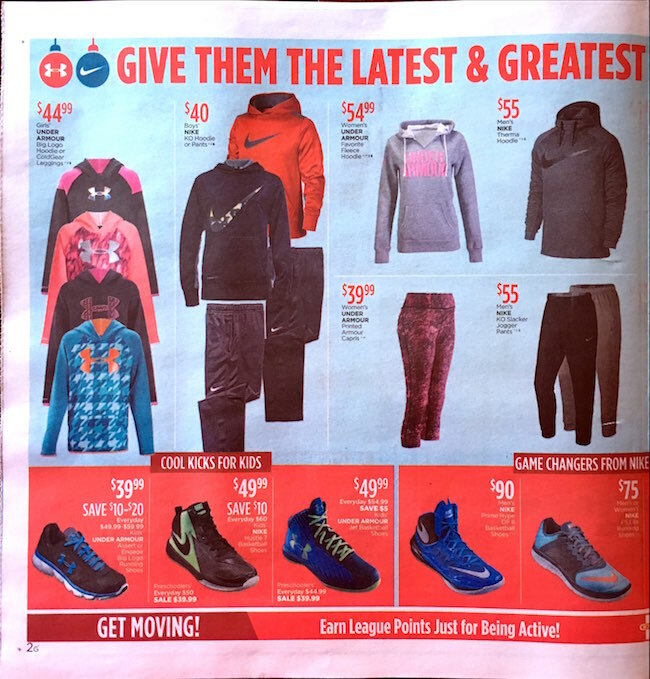 They have more than 450 stores throughout the US. 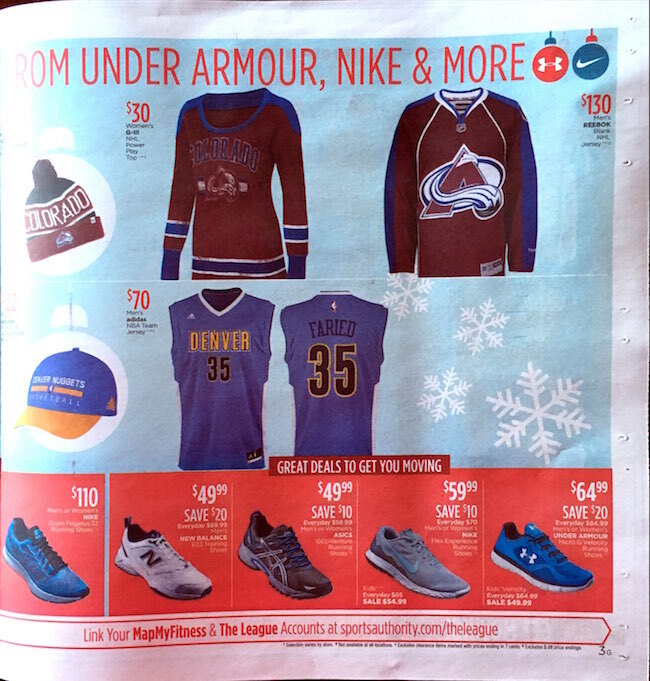 The Sports Authority weekly ad is released in the Sunday newspaper every couple of weeks.